Traditionally, most eCommerce owners have thought that creating original content is all that’s needed to improve their SEO and increase their Google rankings. But in this data-driven world, innovative content alone is not enough to ensure the success of your brand. 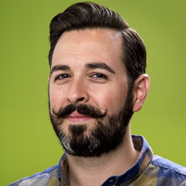 SEO expert and founder of Moz, Rand Fishkin, joins me in this enlightening episode about the undeniable Mobilegeddon and techniques for increasing SEO. We discuss the future of Google and why they’ve pressured eCommerce owners to create mobile-friendly sites and how you can immediately start driving more traffic to your site and converting those leads to customers. Andrew: Today on the show, I’ve got Rand Fishkin from Moz.com and Rand, of course, is a well-known SEO, the co-founder of Moz.com, a site that offers a suite of SEO tools, a number of well-read SEO blogs pretty well-known in the space. We’re talking about a couple of things. Of course, most notably talking about Mobilegeddon, or the lack thereof, and a little interesting here, recorded this the day after Mobilegeddon came out on April 22nd and going to be coming out to this, going to be coming out a little bit later as you, of course know. But we do get Rand’s thoughts at least on, if not the long-term effects, at least in the minimum what he saw the first couple of days and what his thoughts for how if, at all, it’s going to unfold in the future. We talk about underrated SEO techniques, some of his favorites. Talk about the biggest mistakes that eCommerce companies make in terms of SEO, and also get into some things about how tough it is to grow a company and some of the struggles that he’s had that he’s talked about. A lot in there, I’m going to go ahead and dive right into today’s discussion, so we’ll go ahead and get into it. Rand, thanks so much for coming on. Appreciate you taking the time. Rand: My pleasure, Andrew. Thank you for having me. Is Mobilegeddon a Hyped-Up Scare Tactic? Andrew: I think the only thing I could lead with today, the day after Mobilegeddon is supposedly rolling out, I have to ask you about that. Supposedly, it rolled out yesterday and I know it’s 24 hours into this, but what, if anything, are you seeing in terms of that update from Google? Rand: It almost looks like they were messing with us. I don’t want to say they lied. They probably didn’t lie. They probably did roll out something. But it had a very tiny, nearly imperceptible impact. In fact, if they hadn’t announced it, it’s probable that no one would have noticed. That’s how tiny it was. Rand: A little from Column A and a little from Column B. I think almost certainly, this was primarily a PR move. 70%-plus of search results that we saw in the top ten across many thousands, tens of thousands of mobile rankings were already marked as mobile-friendly by Google three, four days before the update. So even if they had had a massive, huge change, big shakeup, it could only potentially have affected 30% of results, right? That’s the maximum it could have done. Now, I think in Google’s defense, potentially, maybe that 70% number was a result of the fact that many publishers and brands and websites went and made sure that they were mobile-friendly before the last few weeks. But I think there’s also some over-playing, right? When Google does make very big updates, things that really shake up the search results, they don’t announce them. They have never pre-announced a very big, massive shift, right? When you talk about a Panda or Penguin or Hummingbird or the guest blogging update or the shutdown of large link networks. All those kinds of things basically have been very quiet until it actually rolled out. Sometimes they’ll say “Hey, we’re thinking about doing this” or “Hey, this might be coming. Watch out.” But they never pre-announce the date. The only other time I can think of . . . I can remember when they rolled out something like this was . . . do you remember when they made secure sites a ranking factor a few years ago? Rand: Yeah. So they said HTTPS will new a factor in our algorithm and it’s potentially very important for the security and trust of your visitors, those kinds of things. Then when they rolled out the change, it was, again, like this one, almost imperceptibly small. Is Google Living By Their “Don’t Be Evil” Motto? Andrew: So that kind of dovetails into another question I have, is there all these different changes to Google. I think that Google five years ago and the Google today are so different in terms of . . . we don’t have keywords and analytics. The servers are so much more crowded up by ads. A lot of different things we could talk about. But I think it boils down to, Rand, do you think . . . is Google still living up to their motto, “Don’t be evil”? Rand: Sometimes, yes, but I would say that Google has been a normal amount of evil for a large technology company since about 2008 or 2009. I think what they did a fantastic job with was sort of their first 10 years of operation, right? From 1997 to 2007, I think they did a fantastic job, phenomenal job of branding themselves as a company that was not evil, that did a lot of good things. To their credit, I think they’ve done a bunch of wonderful, amazing, positive things, too, but so have many other technology companies, right? I think Microsoft certainly has a legacy of connecting people around the world and making information available and powering the computer revolution. So they definitely did some evil things, too, right? Along the lines of abusing their monopoly, price gouging certain enterprises, that kind of stuff. But, yeah. I’d put Google in just about the same category at this point. I think it’s unrealistic for us to expect much different. Andrew: I don’t why this image comes to mind, but I have kind of an image of you and other SEOs and Matt Cutts and the Google teams kind of as the Spy vs. Spy, one against each other. Rand: I actually think, I feel like . . . maybe I’m giving him too much credit, but I actually think that one of the reasons that Matt has been taking a leave over the last couple of years and some of the frustrations he’s expressed over the years, have actually been because he also felt that Google was doing some evil that he was opposed to and that he didn’t expect from this company. That happens when you go from . . . he joined Google when they were less than a thousand people and now they’re 20,000-plus. Who Will Replace Google in the Future? Andrew: Let’s assume maybe in the five, 10 years down the road; today, Google is kind of like the homepage of the Internet, still. But assuming that isn’t the case in the future, what becomes that homepage? Maybe somebody does search a lot better than Google? Or maybe traditional search isn’t as crucial as it is today. Is it Amazon, is it Facebook, is DuckDuckGo? If one person had to knock them off, who would that be? Rand: I would actually suspect that given how other forms of media have evolved over time, what we’re going to see is much more splitting and fragmenting. You can see that in the technology world as well, I think, with search being the outlier. So Facebook completely dominated social media to an unheard of extent five years ago. But today, while Facebook is still the dominant property, I think you’re seeing a lot of splitting, right? Into everything from Instagram and Pinterest and Twitter and LinkedIn, to Snapchat and . . . what have you, Periscope or Meerkat. All of these other forms of social networking and social connections and messaging . . . WhatsApp, certainly, right? So I would suspect that Google’s kind of an outlier in this area and it’s possible that over time, we’ll see more of a split or perhaps they’ll continue to dominate search. But search won’t be the only or the dominant activity on the Web. I think we’re already seeing that with the move to social with some advanced economies, especially the wealthy segments of advanced economies moving to a little bit more of an app-centric world or at least an app-supported world and very heavy use of mobile apps. Although, I think . . . what was the stat? Something like 60% of smartphone owners, not even feature phone owners, but smartphone owners in the U.S., which, of course, the U.S. is a very wealthy country, download zero apps per month. But I think in the 40%, there’s more significant app use. Andrew: So do you think . . . maybe you’ll have to dig a little bit, just getting clarification on this, but do you think search is going to be the preeminent way people find things online in five to ten years? Or do you think it could be replaced by social references? It could be replaced just by purely product search? Do you think search . . . even though it’s getting a little bit more crowded, it’s still going to be the primary way people interact with content online? Rand: So I would split out the two questions you asked. One was “Will search be the primary way that people interact with content online?” I believe the answer to that is already trending to “No.” Then you asked “Will search be the primary way that people find things and get information that they need?” I think the answer will continue to be “Yes” for a long time. So two different answers to what I think should be two different questions. Andrew: For most anyone who knows anything about SEO, there’s kind of the pillar techniques that are obvious, that are tried and true. Of course, getting links from authoritative domains, writing good content, etc, etc. But in your opinion, what are maybe two of the three most underrated SEO techniques for ranking pages? In terms of either techniques that are just underestimated in general or maybe underestimated relative to how much they’re talked about? Rand: Sure. I think one that is becoming very clear to the SEO world, but unfortunately is very challenging for most SEOs to influence, is branding. So building a familiar positive brand that many people know and like and trust is a big marketing challenge. It’s usually something where SEOs are neither consulted, not involved in, particularly. But in my opinion, it’s having a huge impact in search results and we’re seeing Google bias more and more . . . the ranking signals that are well-correlated with having a great brand. So I’m not saying Google looks for “You are a brand, you’re a target. I’m going to rank you high.” But they have all of these things around user and usage data and visit path (?) analysis and the kinds of links that are not just links, in general, but how you are in them, where you are in them. Distribution of your link equity certainly looks at the types of content that you’re putting out and how that’s serving visitor interest. Search query data based on queries and clicks, as well as bounce rates and pogo-sticking, right? So all those many things. Probably many things we don’t know about are very well correlated with the signals, the positive signals that brands tend to earn. Unfortunately, if you’re not a brand, it’s really hard to earn those. Andrew: Branding number one. Is there a second one that comes to mind for underrated technique? The interesting part about that is with Google’s focus, increasing focus on, like I said, query and click data, user and usage data, visit path data. All these kinds of usage forms of ranking signals. That can have a huge impact, right? If you suddenly go from converting one out of 100 people who comes to your site to three, well, not only does your revenue triple, but it’s very likely that Google will see you as a much more sort of positive result for them to put in their queries. Andrew: Obviously, a lot of stuff, Google can just see based on scripts and things. But some of the really in-depth eCommerce analytics with Google Analytics, do you think they look at those in terms of ranking properties if you’ve got that enabled? Rand: No. In fact, I don’t think they look at any of the stuff where it’s like “Oh, you have an AdSense block on your site or a re-targeting unit from Google on your site.” I don’t think they’re using those in their ranking algorithm. I think those kinds of signals are where they’re getting the data to help sites that improve conversion rate and branding, right? And hurt sites that don’t. Andrew: I’m sure you see all sorts of atrocious SEO mistakes across the board. But in terms of our audience, eCommerce store owners, in that particular niche, what’s the biggest SEO mistake you see eCommerce companies making? Rand: I think my least favorite phrase . . . this is true kind of across SEO, but a particularly pernicious problem in eCommerce is “Good, unique content.” I can’t tell you, Andrew, how many people come to me . . . eCommerce site owners, right and they’re like “We have good, unique content.” To which I want to say “So what? That doesn’t mean anything. Google doesn’t care that you have good, unique content.” “I thought if we got good, unique content and we got links, we would get our rankings up?” No. I think the UX world has just become so good at helping Web users–even very un-savvy Web users figure out how to use things that now, complex interfaces, poor design, poor UI results in people being very unhappy and leaving sites right away. Then, third, the fact that your competition is doing those things. We have a much more competitive environment, much higher expectations from users and much more complex search algorithms. These three things combine to mean that good, unique content and getting some links and making your site crawlable is not even table stakes, in my opinion. Now, if you told me instead “We believe that the experience on our pages is not only unique, but the value that’s provided is unique. Meaning you cannot get the value that our pages provide to searchers anywhere else on the Web and our content, our experience that we offer is 10 times better than anyone who’s ranking in the top 10 today.” That is a reasonable bar to set for yourself. Good, unique content is not going to help you. Andrew: It’s funny when I ask you the pillar stone content, SEO techniques above. I think I put “I’m very guilty.” I’ve got my notes here. “Create good content” and I could just go back . . . you probably could cringe. I probably could hear you on the recording. Rand: I’m not saying don’t create good content. I’m just saying don’t expect that by creating content that’s as good as the guy who’s ranking number one today. Or as good as what you think a user would be satisfied with, is going to be good enough. So rankings are very competitive today. Signals are growing. User expectations are much higher. The bar has been raised dramatically and I think, sometimes, our mentality as marketers, content creators hasn’t quite caught up. Andrew: Good is not enough. You’ve got to be phenomenal and your UX has to be outstanding to be able to do it. Rand: Certainly if you’re trying to break into rankings that you don’t already hold today, right? If you’re trying to win over other folks, you have to leapfrog. You cannot simply be as good as or slightly better than. Andrew: Rand, are you guys at Moz dedicating your resources to understanding Amazon’s ranking algorithms? In terms of tools to track those listings and figure out . . . what really goes into getting those products to number one? Because . . . I mean, traditionally, it hasn’t been part of SEO, but with so much of product search shifting over to Amazon, it’s pretty meaningful for maybe traditional SEOs that wouldn’t have thought about it before. Rand: I agree that there are SEOs thinking about it and there are a few products in that space. This is not something, however, that Moz has put energy or effort into, nor is it something we’re likely to invest in over the next four to five years. Very long term, possible, but for now, no. Andrew: I want to transition a little bit away from SEO. You wrote a really personal and candid article recently titled “A Long Ugly Year of Depression That’s Finally Fading.” That kind of chronicles some of the struggles you’ve gone through over the last couple of years. Especially related to the roll-out of Moz Analytics which we’ll link up to. I want to ask you a couple questions about that. But quickly, before we do, for what it’s worth, I think it’s really admirable that you shared that. I think it’s something . . . those kind of struggles are thing that most founders have and aren’t brave enough to talk about. I think it’s incredibly helpful to read that from somebody in your position. Rand: You must be user number 14,117. Because we did see one account that didn’t have any problems. Andrew: I think that was me, exactly. How did you know? Rand: I’m just kidding. But yeah, I appreciate that. As I said in the post, it was, in my opinion, a very poor quality roll-out and definitely us not putting our best foot forward. But that being said, I think we’ve had 12,000 or more of our paying subscribers who have been members for 18 months or longer, right? So clearly, they liked the new product enough, didn’t mind the change and stayed with it and have kept using it. I might have overplayed . . . and certainly in my mind, I know I overplayed “The sky is falling” kind of mentality. Andrew: There’s a lot that you really dive into in terms of lessons you learned and what happened. But maybe to just bring it back to one issue, what was the biggest lesson you learned from that entire period? Or the number one thing you’d do differently from the roll-out over the last two years? At this point, if I were to go back in time, I would say “Hey, guess what? We’re going to upgrade the rankings thing this quarter. The next quarter, we’re going to work on social. The quarter after that, if we’re happy with the social roll-out, we’re going to work on content. Then the quarter after that . . .” and we’re going to roll out each of these things iteratively. I think the frustrating part for the marketing side of me and for the marketer in all of us is that you know that that won’t have as big a splash. It’s not going to echo around the industry. You don’t suddenly go “Oh, my God, overnight, this has become what everyone should use” and that’s exactly what I was aiming for, was the marketing results of that launch and that’s foolish in retrospect. So what actually happened is the marketing side of it totally worked. I think we had somewhere between 75,000 and 100,000 people sign up for Moz Analytics when we announced it and they were all on the wait list. Then when we finally e-mailed them, I think there were less than 3,000 people who actually signed up and fewer than 500 of those have actually stuck with the product. So it feels good to have that nice marketing launch, but ultimately, not a great way to go. So to circle around to that, is that something that you’ve made any progress . . . or do you still feel the same about that and do you think it’s necessarily a bad thing? Or could it be, maybe, take a different approach from the typical wisdom and just say “It’s a great thing in the sense that it’s what gives us entrepreneurs the fire we need to really make something work”? Rand: Interesting. I guess it sort of depends on your goal or perceived outcome and how you rank the importance of various things in one’s life or in society as a whole, right? So if the goal is “How do we get the most people giving the most of themselves to make the most money,” then I think the answer is yeah, it is a good thing for entrepreneurs to have this addiction. To feel these pressures. To feel like they cannot be happy without success. However, if you’re maybe a little less capitalist and a little more philosophically humanist, then I think you would say it’s a bad thing. You would want entrepreneurs to work on being independently happy and then also deriving happiness, but being able to disconnect from their businesses if and when things don’t go well. Andrew: Rand, I really respect what you’ve done in the SEO space. Love the brand and company you’ve built at Moz and man, just really appreciate you coming on to talk about everything from SEO to the personal happiness in terms of how it relates to business success. So thank you. Rand: My pleasure, Andrew. Thanks for having me. Andrew: If you’ve got any questions after hearing our discussion, Rand generously offered to do his best at answering those for you. You can get a hold of him at Rand@Moz.com. On Twitter, @RandFish, that’s R-A-N-D F-I-S-H. You could also check out his blog at Moz.com/Rand and of course, for SEO tools and really, inbound marketing everything, a great set of pro tools at Moz.com. That’s going to do it for this week. But if you’re interested in launching your own eCommerce store, download my free 55-page eBook on niche selection and getting started. If you’re a bit more experienced, look into the eCommerceFuel private forum. It’s a vetted community for store owners with at least $4,000 in monthly sales or industry professionals with at least a year or more experience in the eCommerce space. 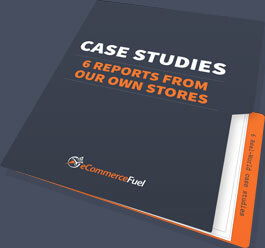 You can learn more about both the eBook and the forum at eCommerceFuel.com. I kind of feel the majority of websites were setup and ready. I can completely agree with the strategy of good UX and UI design. Ultimately if your focus is on and about the users many positive things can happen from increase time spent on you site, better conversions, improved upsells, etc. From my personal experiences, I have seen more successful IT projects when I focused on UX rather than just building stuff and assuming and expecting users to understand and adapt. Great podcast absolutely enjoyed it. The web needs more content like this.